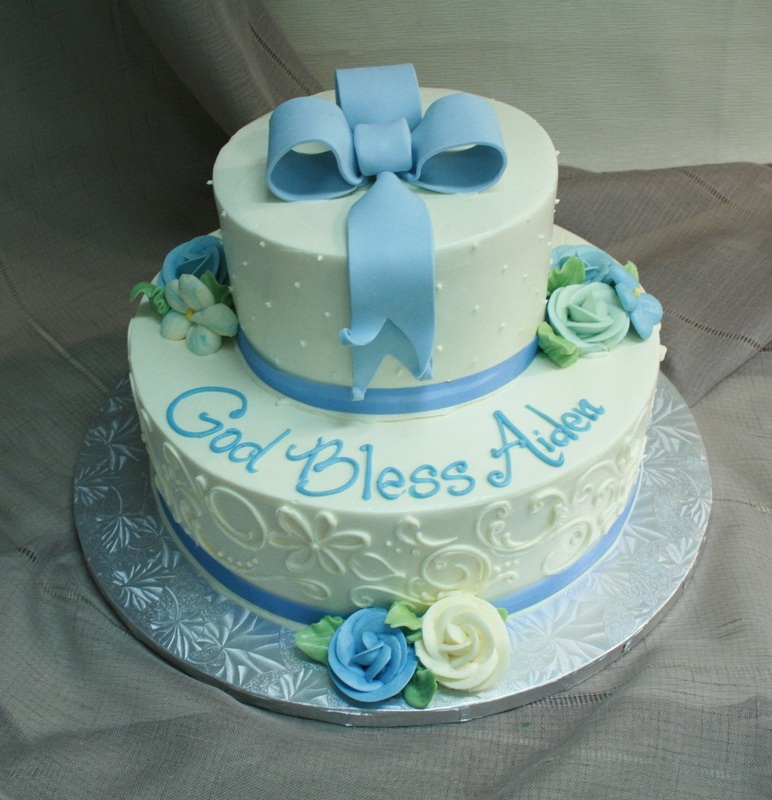 This design features a rolled chocolate bow cross draped on top, with design work and buttercream flowers. Pricing includes customer’s choice of (1) color for the rolled chocolate bow, white design work and pastel buttercream flowers with matching ribbon borders. Shown with a light cw blue bow, white swiss dot design work on top, floral scroll on the bottom and blue & white flowers. This design requires a minimum of 7 day’s notice. Limited sizes & flavors available when ordering by Wednesday for the weekend.